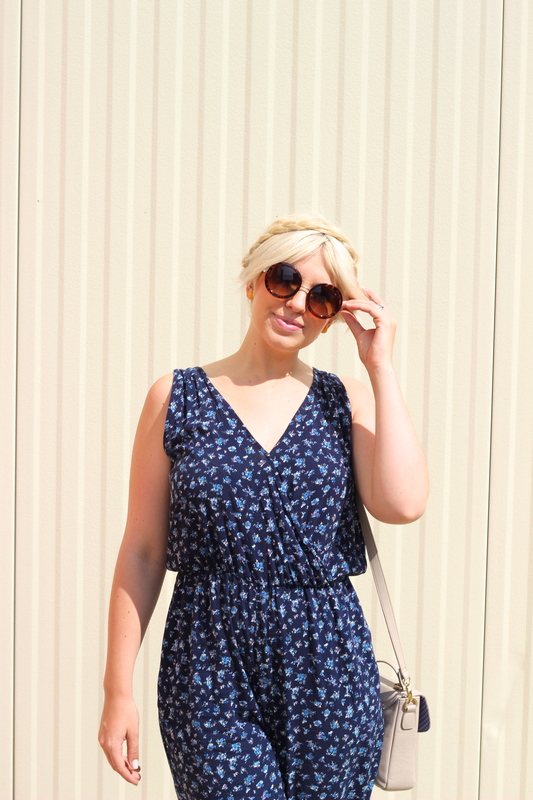 Floral Jumpsuit - Lovely Blonde Closet "
I know what you’re all probably thinking … another jumpsuit!?! Well yes, another jumpsuit. And this one has become one of my favs – not only for the dainty floral print, but also for it’s amazing price.. who doesn’t want a whole outfit for $29.80? 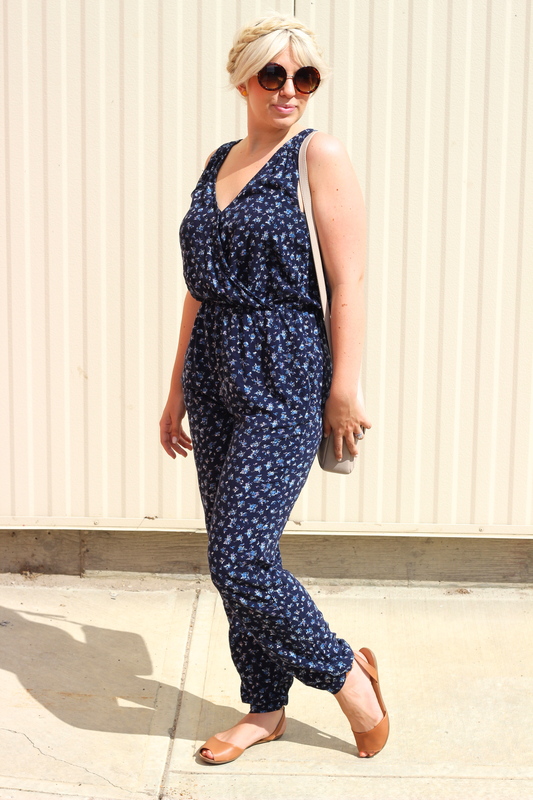 Forever 21 has some great jumpsuit options (like here and here) at such amazing prices, it’s hard not to stock up on them all! I love how you can literally slip it on, throw on some flats or even some heels, add a cute bag and you’re ready to go. When it gets cooler this fall I can’t wait to dress them up with warmer layers and booties! Side note: I have felt my hair has been super boring lately, so I tried a new hairstyle that I hadn’t done in years! The result was just what I wanted, and even better, it only took me 5 mins! 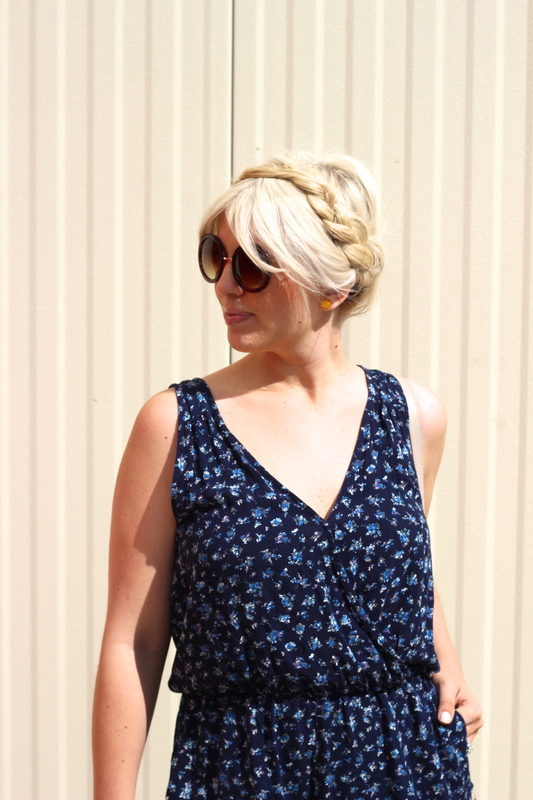 I have gotten mixed opinions on the milk maid braid look – yay or nay?